There were so many wonderful speeches at Megan and Sonny’s reception at Pippin Hill Farm in Charlottesville, but the one that had the all of the guests cracking up was Sonny’s best man. 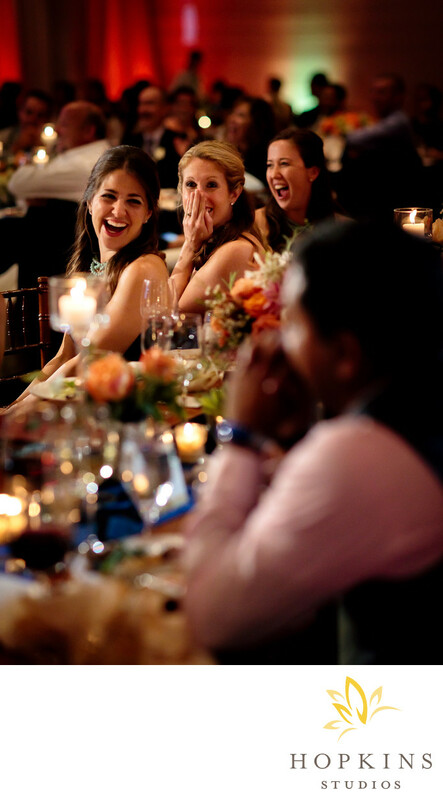 In this photo, the bridesmaids cannot to hold back their laughter as the best man tells his story of meeting Sonny on the first day of college. Keywords: Charlottesville Wedding (144), destination wedding photographer (156), Pippin Hill Farms (63), Vineyard Wedding (57), Wedding Wire (84).